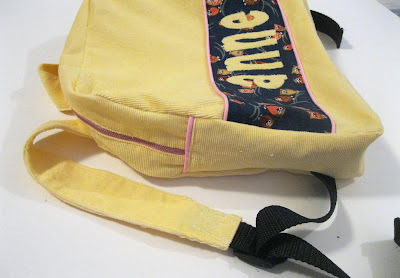 Toddler Backpack Tutorial - Peek-a-Boo Pages - Patterns, Fabric & More! 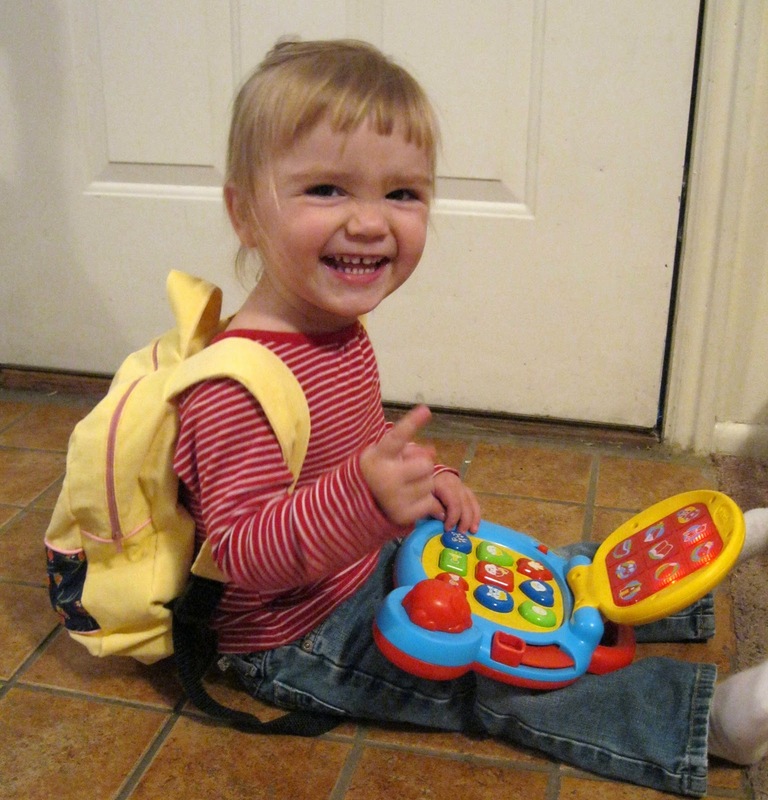 Toddlers have a LOT of stuff! I decided to make the little miss a backpack so she can carry her prized possessions through the airport next week on the way to Grandma’s. And I think we’ll be bringing this to church each week with her snacks and a few books. 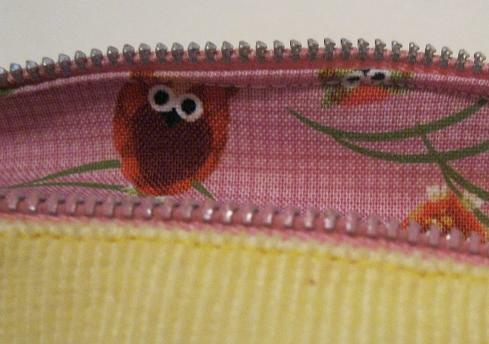 Oh and it’s fully lined with the cutest fabric ever! 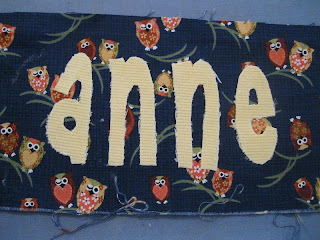 Poppyseed Fabrics sent me some Winking Owls fabric to review and I LOVE it! It shipped super fast and looks exactly like the online photo (sometimes it’s hard to tell). And little miss is obsessed with owls right now so she was tickled pink:). 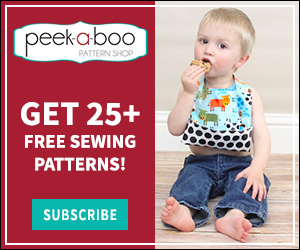 If you need to do a little holiday shopping for yourself I definitely recommend Poppyseed Fabrics! 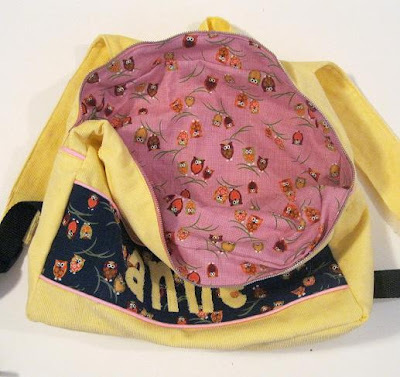 1 Bottom Piece in each fabric (mine was 24 x 4″ but the length will depend on the new dimensions of your backpack. 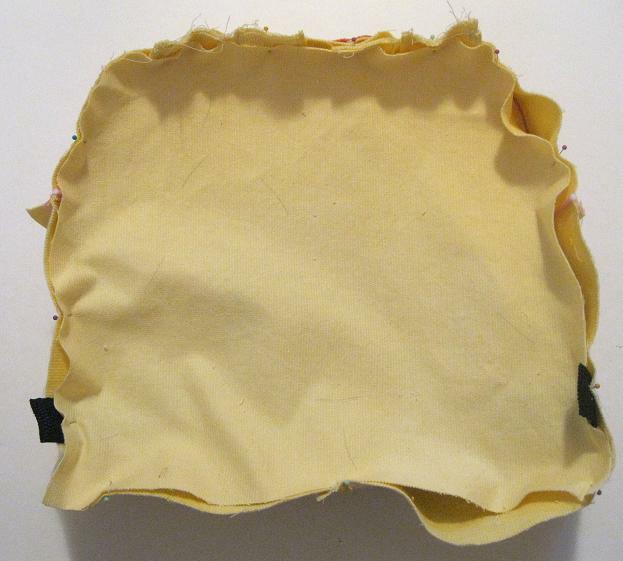 Measure the circumference of your backpack and then subtract 16″ for the zipper facing and add 1″ for seam allowances). 3. 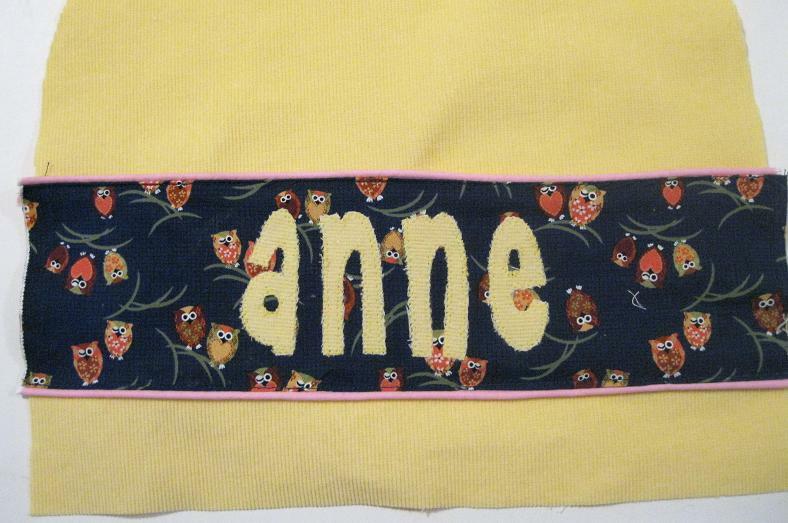 I did a strip of fabric with piping above and below it. Line up the raw edges of the piping with the raw edges of the fabric strip and baste in place right next to the cord portion of the piping (it’s helpful to use your zipper foot). 6. 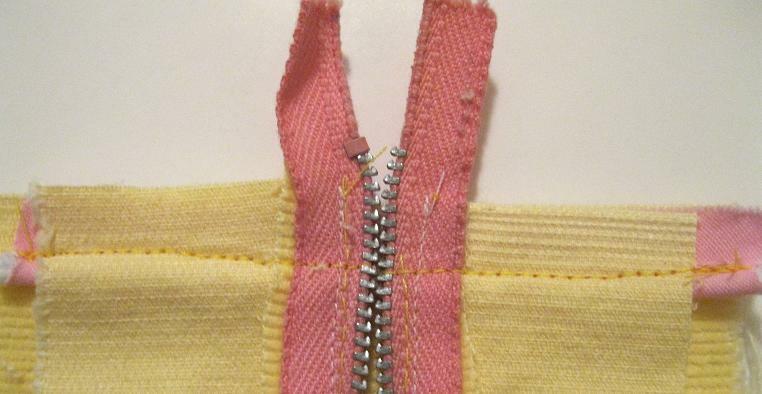 Flip the zipper over and topstitch the facing in place right along the teeth. Repeat with the 2nd facing piece. 7. With right sides together sew each end of the completed zipper piece to each end of the bottom piece (I added piping to each end of the bottom piece first, but that’s optional). 8. 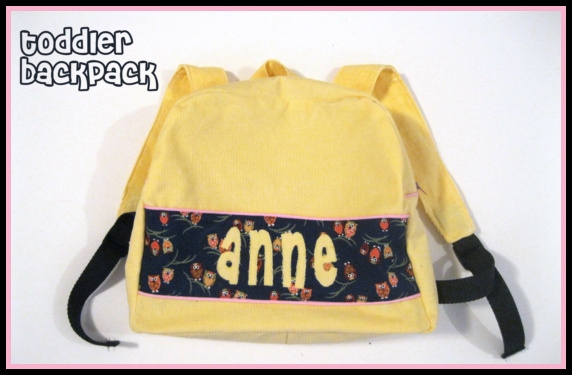 With right sides together sew on the front of the backpack making sure your zipper is centered along the top edge. 9. 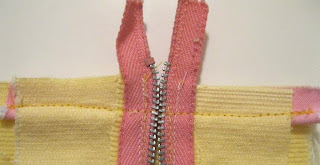 Fold your straps in half with right sides together and sew along the long edge. Turn right side out and topstitch along the edges of the top strap, but not the shoulder straps. 10. 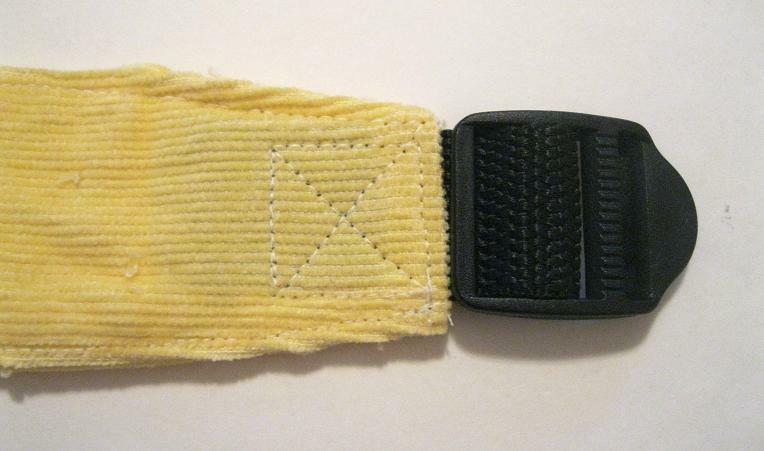 Feed a piece of strapping through the top portion of the strap adjuster (your package will have instructions). 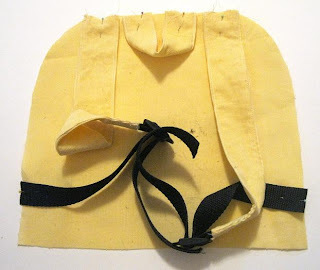 Turn the end of the shoulder strap in towards the wrong side and slide the 2 raw edges of the strapping inside the shoulder strap. 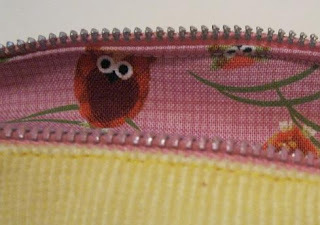 Sew in place (I did a nice big x to keep it really secure) and topstitch along the 2 long edges of the shoulder strap. Feed a 2nd piece of strapping through the bottom portion of the strap adjuster (I used a 14″ piece and it was plenty long). 11. 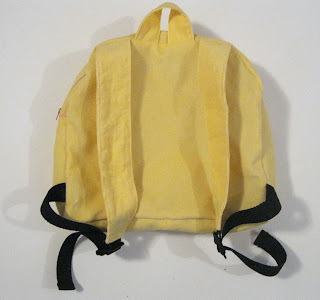 Lay out your straps on the back of the backpack (you can baste in place if you want). 11. 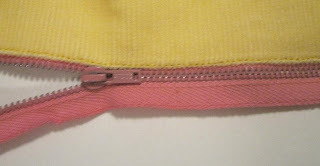 Iron one long edge of each zipper facing in 1/2″ towards the wrong side. 12. With right sides together sew each end of the bottom piece to the zipper facings. 13. Sew the front and back lining pieces to your center panel just like you did with the outer backpack. 14. Slide the lining into the backpack with wrong sides together and sew the 2 together right along the zipper edge. I found it was easiest to sew from the lining side since the fabric was already secure on the outer side. Enjoy your new little backpack! Love this cute little backpack. I want to make it for my grandchildren. What size seam allowance did you use. Thank you very much for the tutorial!!!! 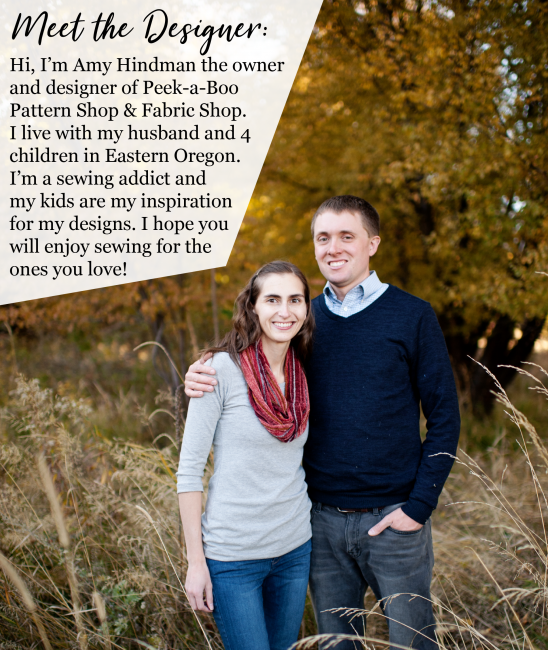 I come to know about your blog post by Craft Gossip. I would like to read different sewing tutorial. But, that is my big problem. Here, you have shared such a great sewing tutorial but, I can not transfer it in physical thing. I am really confuse for it. How can I quick start or begin my hobby in direction of sewing. Can any one help me for same? Amy, it is so cute! I bet she just loves it. If you’re looking for more homemade gift ideas for men, try looking here. I’ve managed to collect quite a few links. This is so cute! And you made it seem so easy. Cute backpack…wish I could sew. Thanks for the info on Poppy Seed Fabrics. It will feed my fabric obsession! I love this!! 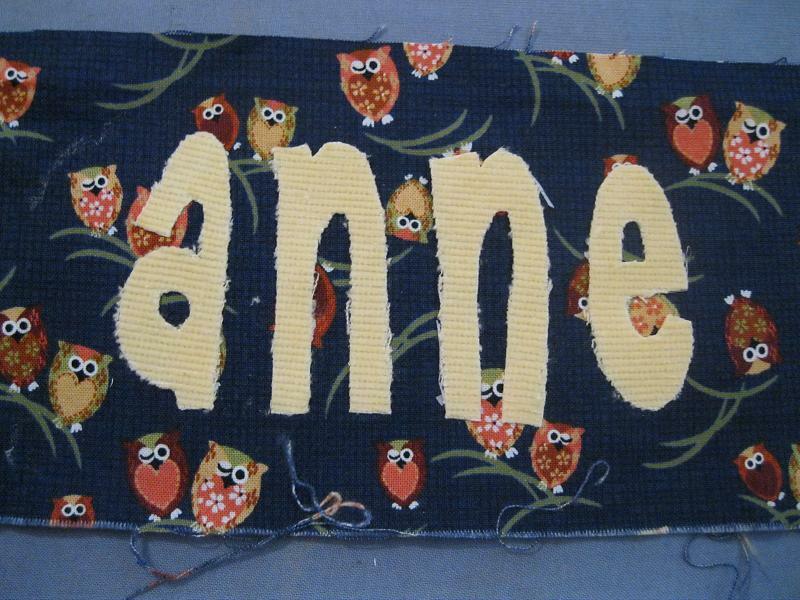 I especially like the coordinating owl fabric under the name and inside. Thanks for sharing! 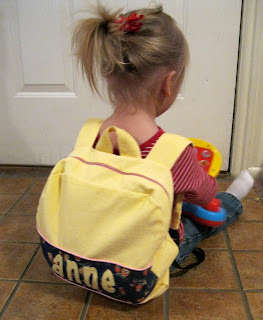 I LOVE this new little backpack Amy!!! 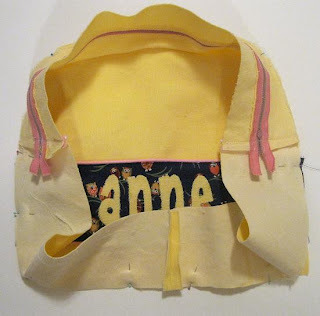 I totally want to make one for Mariel now, but I might have to wait a bit due to the fact that I’m not quite done with sewing my Christmas presents 🙂 Thanks so much for posting these cute ideas!